In this sermon, delivered at the Garden Church in San Pedro, CA, one of the Swedenborgian Church’s newest ministries, calls us to reflect on the spiritual potential of the new year, as difficult as it may seem. Rev. 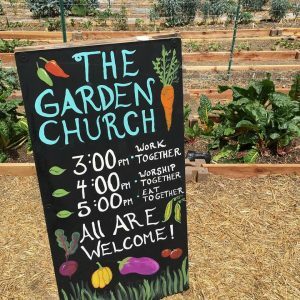 Anna Woofenden is the founding pastor of the Garden Church in San Pedro California, re-imagining church as an interconnected organism, worshiping, loving and serving together while transforming a plot of land into a vibrant urban farm and sanctuary. 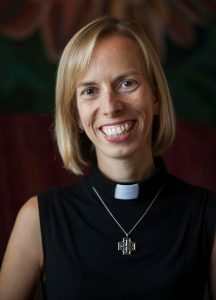 Anna received her Masters of Divinity from Earlham School of Religion, a Certificate of Swedenborgian Studies from the Swedenborgian House of Studies, and is an ordained minister in the Swedenborgian Church of North America. Anna has a passion for spirituality, justice, beauty, compassion, and community, and is driven by a calling to re-imagine church.